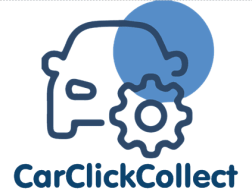 CarClickCollect collects, MOTs, services, repairs, valets and returns commercial and private vehicles in West Lothian and the surrounding areas. CarClickCollect, founded by Phillip Bayne, offers a service and standard of expertise that cannot be bettered only, through great effort matched. With 30+ years active experience in mechanics, including time served in HGV maintenance and working with specialised vehicles in the utilities and other industries, there really is nothing that CarClickCollect can’t work on. Excellent mechanic, highly recommend. Friendly and talked me through all work carried out. Great job. Was more than punctual and the job was carried out perfectly. It turned out an extra part was needed and he sourced it in a couple of hours. Work was carried out very quickly, and to a great standard. Car came back washed which was an unexpected extra. Great work carried out by Phil. Car needs loads more done and I'm hoping to go back to Phil again for all the repairs once I've received the quote. Many thanks. Philip was outstanding and holly the driver was equally outstanding. Excellent work, on time, communicated excellently. It made what was an issue to me a very easy and stress free experience. I cannot praise them higher.